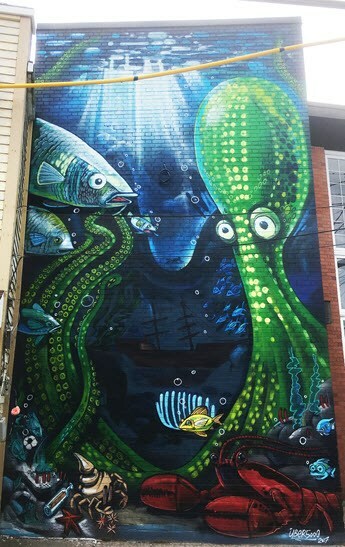 View the attached photos of the underwater scene painted by artist Allan Ryan, formerly of North Sydney, in August 2017. 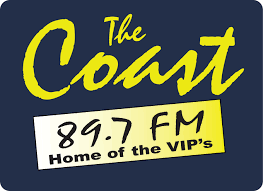 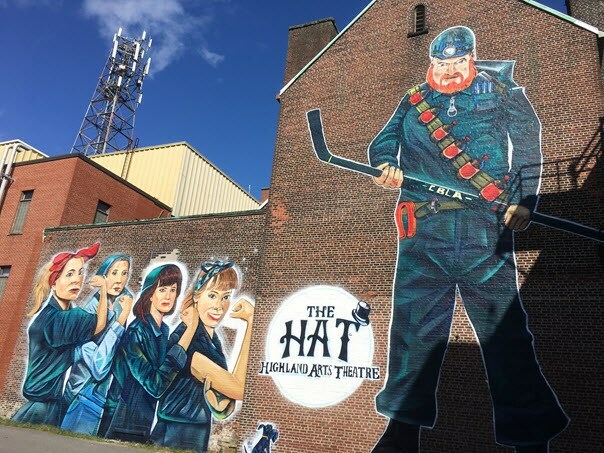 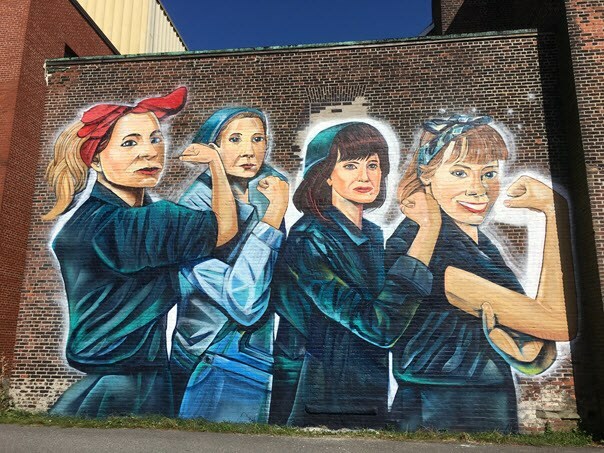 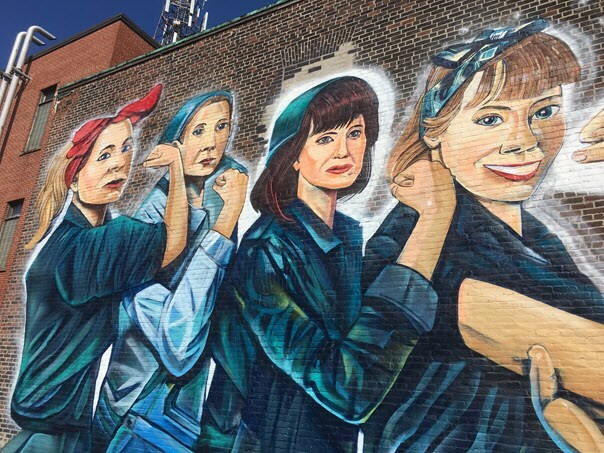 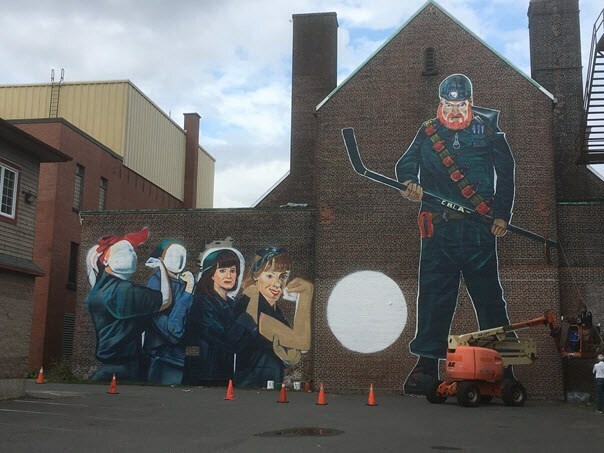 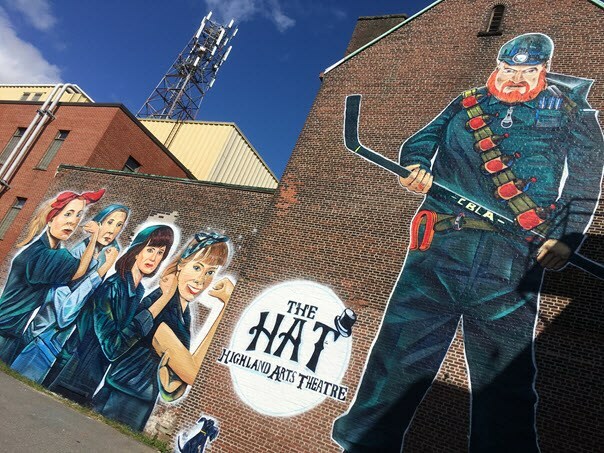 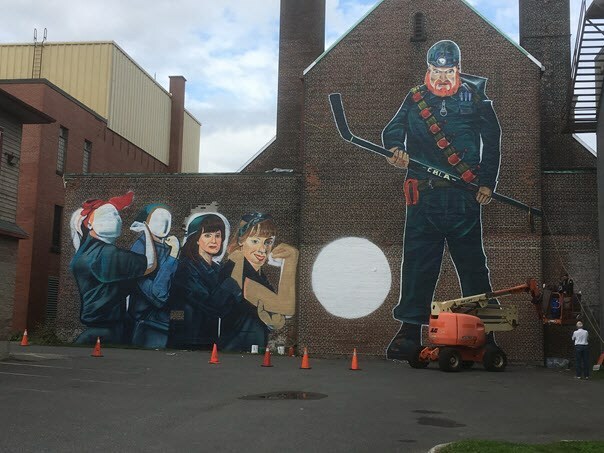 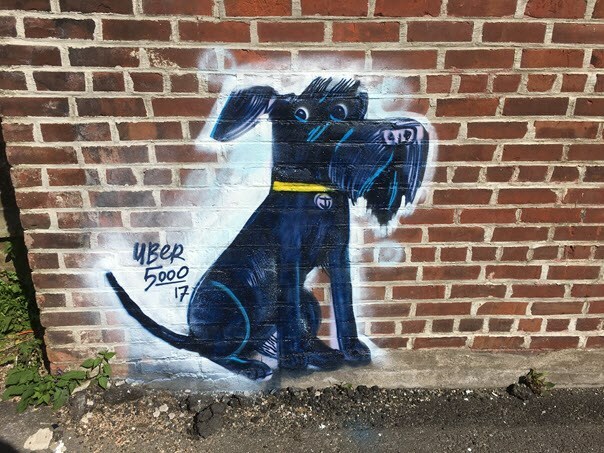 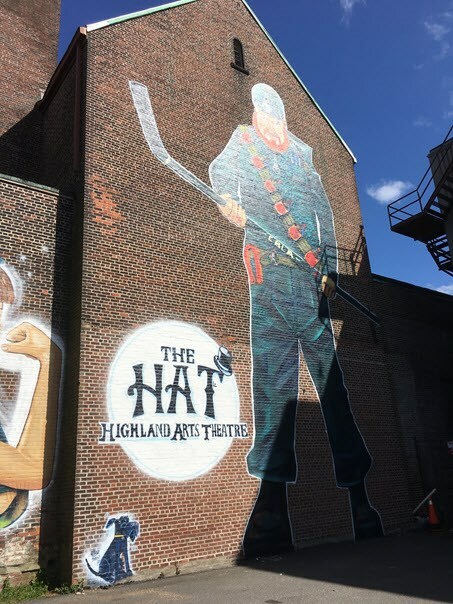 After seeing the mural above, The Highland Arts Theatre crowdfunded to hire Allan Ryan to paint characters from their original musical productions — Heart of Steel and The Return of the Cape Breton Liberation Army. 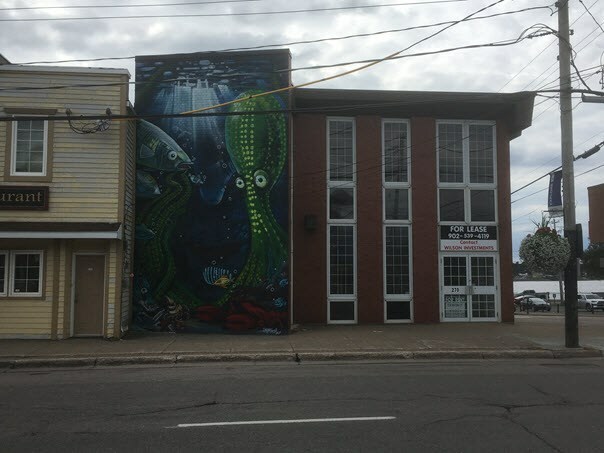 See the attached photos of the works in progress and view the map above to find the exact location.